dRMM chose tulipwood for the design of Maggie’s Oldham for the positive influence wood has on people and for the beauty, strength and warmth inherent to American tulipwood. Wood is known to significantly reduce blood pressure, heart rates and recovery times; it has more health and wellbeing benefits than any other building material, according to Wood Housing Humanity Report 2015. American tulipwood CLT was pioneered in 2013 by dRMM, AHEC and Arup for its unparalleled strength and lightness, speed of construction and sustainability. American tulipwood is approximately 70% stronger in bending than a typical CLT grade softwood. 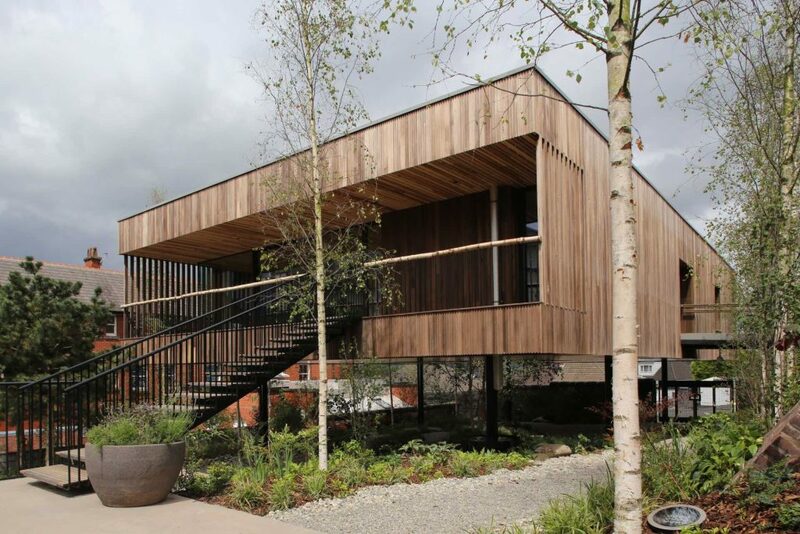 The structural CLT panels for Maggie’s Oldham were developed by CLT specialists, Züblin Timber. The first public experiment with this building material was The Endless Stair, created during the London Design Festival 2013. Arup’s engineering calculations show the structure could have supported 100 people at any one time. Tulipwood CLT is one of the most sustainable timber species because of how fast it replenishes, through natural growth alone. Maggie’s Oldham contains 27.6m³ of American tulipwood and 1.1m³ of American ash, equivalent to around 55.22m³ and 2.1m³ respectively of sawn wood before processing, which in terms comes from around 115.7m³ of logs – and all these logs will be replaced in just 120 seconds (108 seconds for the tulipwood and 12 seconds for the ash). dRMM co-founder Prof. Alex de Rijke’s experiments with engineered timber have progressed during 30 years in practice and academe. The studios building and furniture projects have pushed the structural, environmental, and aesthetic properties of engineered timber, from plywood to engineered softwood, and now to the collaborative invention of hardwood CLT. “From the Oldham project inception we knew it was the right material for Maggie’s, not only structurally and visually, but conceptually. 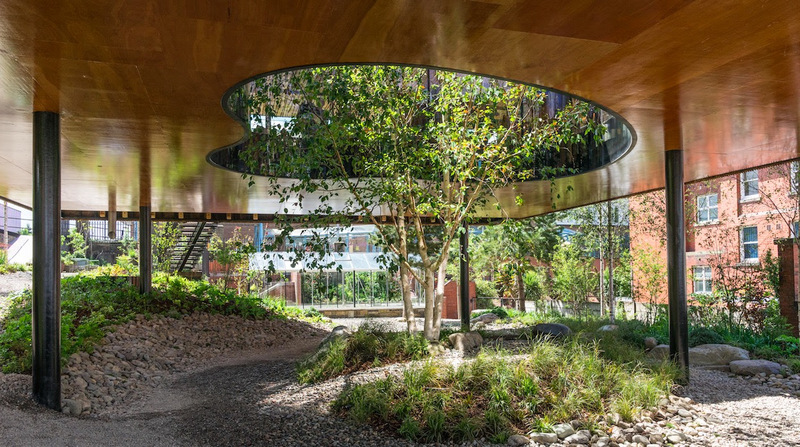 An elevated, open plan, all-timber and glass building – with trees growing through it, and every detail considered from the perspective of use, health, and delight – was always going to be special. 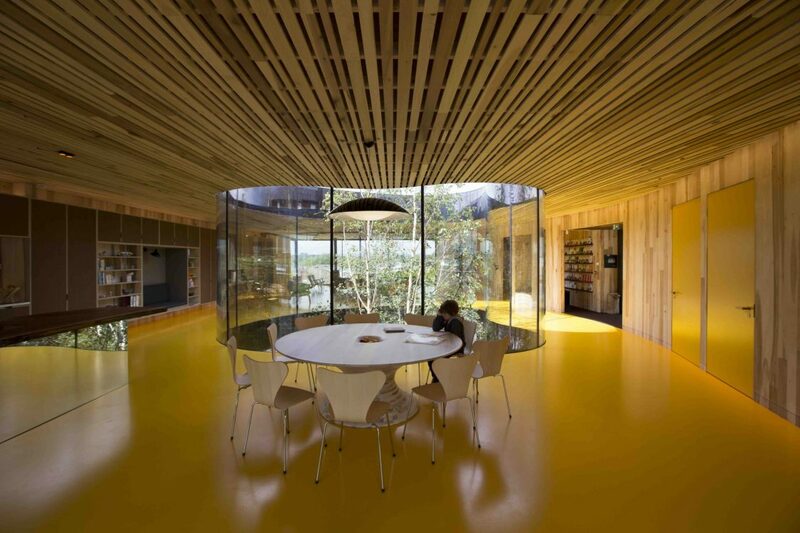 The main kitchen table around which Centre visitors are encouraged to sit, is a design by Barnby Day that was commissioned by Alex de Rijke and AHEC for the Wish List project for London Design Festival 2014. It is built by Benchmark Furniture from recycled tulipwood CLT. The top was left over from the Wish List and the base is made from off-cuts of CLT that came from the windows and doors of Maggie’s Oldham. 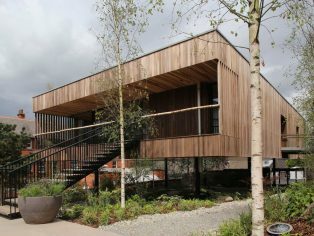 For AHEC, Maggie’s Oldham is one of the most important developments in a decade of research and development into structural timber innovation and one that could broaden the use of CLT in the construction industry. The creation of this product and significant use of hardwood will transform the way architects and engineers approach timber construction. Tulipwood is the fourth most abundant timber in U.S. hardwood forests, representing 7% of the total growth, only exceeded by American red oak (18%), white oak (15%) and soft maple (11%). It grows in all 33 states that are home to U.S. hardwoods (generally on the eastern side of the country) and is most abundant in North Carolina, Virginia and West Virginia. And it is under-exploited. Not only is the amount of growth greater than the level of harvesting in every state, but in all of them the harvest level is less than half of the growth level. This is partly because tulipwood is a fast growing timber and regenerates, not only by natural reseeding, but also by re-growing from the stumps of harvested trees. In addition, and particularly useful in structural applications, it has a very high strength to weight ratio – that is, it is much stronger than one would expect for the weight. American tulipwood CLT is around three times stronger and stiffer in ‘rolling shear’ than its softwood equivalent. Like all timbers, tulipwood is a carbon store. 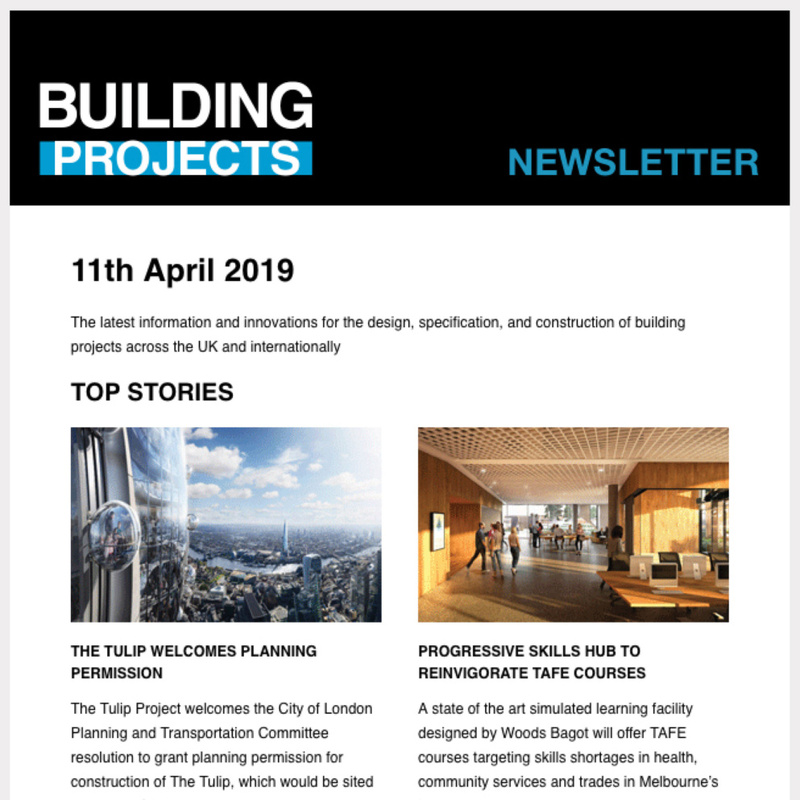 Calculations show that, at the point at which the tulipwood reached the factory in Germany where the CLT is fabricated – after felling, sawing, drying and transport – it was still storing far more CO2 than had been generated through its processing and transport. Maggie’s is a charity that provides practical and emotional support to people living with cancer. Built on the grounds of specialist NHS cancer hospitals, Maggie’s Centres are warm and welcoming places with qualified professionals on hand to offer a programme of support shown to improve physical and emotional wellbeing.